Useful in the classroom and library, this mobile kinderbox has 4 compartments for picture books and room for big books underneath. It is constructed from 18/19mm high quality melamine-faced particleboard with PVC edging. Available in a wide range of colours, this unit is delivered flat packed for customer assembly. 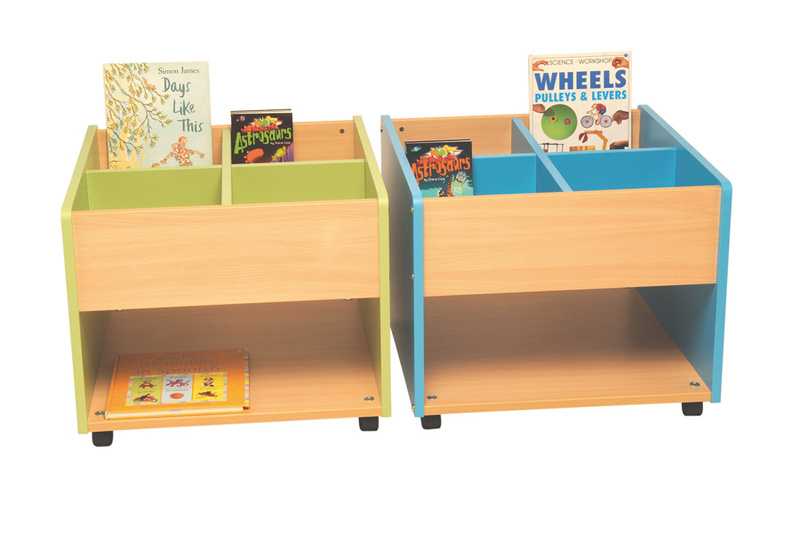 See the rest of our wide Kinderbox range. For more information please Contact Us or call us on 01733 511121.